Linda: Thanks for joining me today. 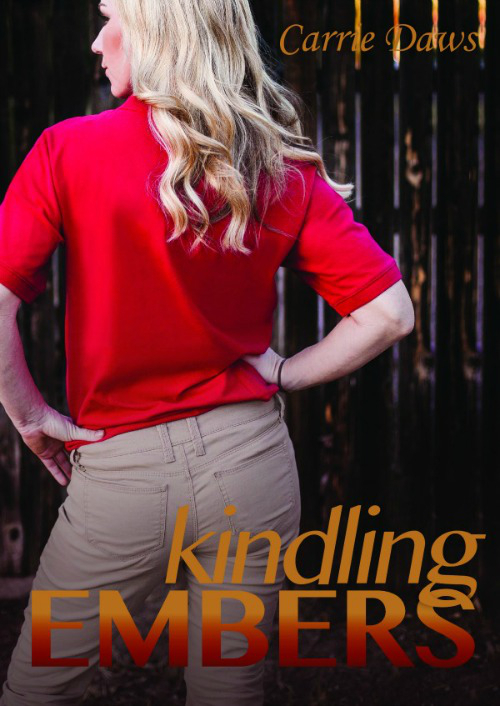 Kindling Embers is the first book in a series. Where did you find your inspiration for this story, and did you set out to write a series or did that just happen? Carrie: The Embers Series came about because a friend who was a local fire inspector kept bugging me about writing a book about her. I kept pushing her off because I wasn’t sure I was ready for that, but the more she told me about her adventures on the job, the more intrigued I became. As the story developed in my mind, I wanted to keep the books purposely short—I love to reach out to women who enjoy reading but don’t think they have time for it. So I released the novelettes individually for those women, later combining all three into one paperback for those who like longer reads. LM: You write both fiction and non-fiction. How do you decide what to work on next, and do you have a preference for one over the other? 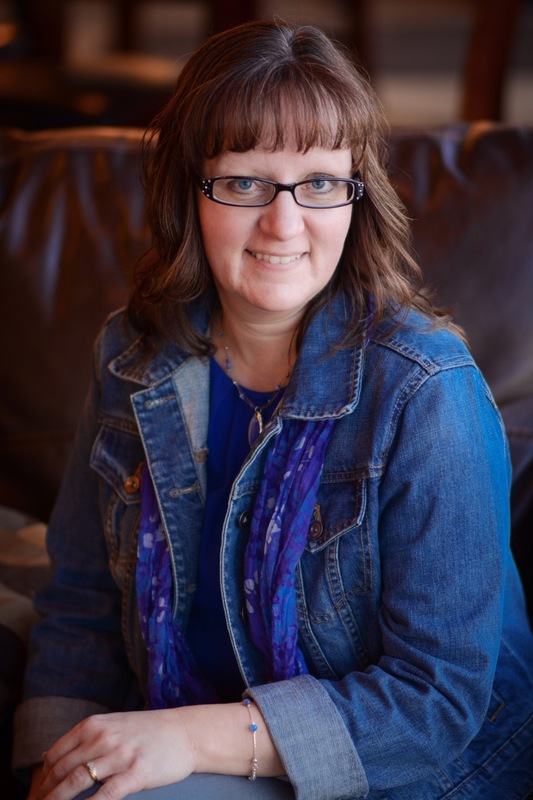 Carrie: I try to keep a balance between my fiction and nonfiction books, alternating a bit to keep both groups of my readers happy. But it can be tough, and writing books in a series can really add pressure to get them all done for my readers. Trading off like that also keeps me from getting bored or overwhelmed with a blank page too. Although I need to read a lot for writing fiction, I must also learn a lot to write nonfiction. It helps me to stay disciplined to push forward in my personal growth, consistently refill my spiritual well, and not get apathetic about fun reading. Carrie: I used to be a die-hard pantser—but I think that’s mostly because planning ahead is lots of hard work and I didn’t want to do it. I do a bit more plotting now, working ahead enough to know the one or two major events for each chapter. It challenges me on the front end of writing the book, but definitely helps when I’m staring at a fresh, blank chapter page. LM: Research is an important part of writing. What “aha” moment or extraordinary tidbit did you experience during the research process of one of your books? Carrie: For the Embers series, I got to shadow my friend as she went about her job, doing inspections, walking secure warehouses and an outdoor kid’s camp. It was very interesting, and I learned a lot about fire and fire safety. But I found it absolutely amazing some of the common fire safety mistakes people make—like plugging a refrigerator or stove into an extension cord rather than directly into the outlet which was designed to handle the power they require. Carrie: With a bit of humor and total humility, I freely admit that God tricked me into writing. It was never my dream or intention, but baby step after baby step, God led me in this direction. I started by writing weekly devotions for my own little website. Then I enrolled in a two-year writing course, which introduced me to fiction writing. Prior to that, I always imagined any future book projects would be nonfiction, but my mentor and teacher encouraged me to get more serious about fiction after he saw the work I did as part of the course. As I developed my first book, a couple of friends got ahold of it and pushed me to published. When I sent those pages out to a few publishers, I never thought I’d get a positive response! Boy, was I surprised! And elated. If I’d only known then how much work was involved in publishing, I might have run away. But God knew I needed protected from that, and wisely kept me in the dark until I was too far along the path to turn back. Carrie: This past spring, my husband and I took our first cruise. While the destinations were wonderful, the staff was amazing, and the entertainment incredible, the hands-down, without-a-doubt, best part of the whole week was not having Internet. No email, texts, or social media to interrupt our enjoyment or divert our attention. It was the most relaxing week I’ve had in a long time. Carrie: Oh, goodness. I’m an interesting mix of routine and quirkiness. The items siting around my office alone have people wondering about my eccentricities—from superheroes to favorite book characters to a Dr. Seuss quote. But probably the best thing I’ve ever done is to help a friend’s husband kidnap her for their anniversary. I snatched their kids without her knowing while he packed an overnight bag and made reservations. She was so surprised! Carrie: Well, I just released the first book in my Home Town Heroines series earlier this month. It will be five stories about five different military families, one from each branch of service, all caught in the middle of a heart-wrenching time. I’m also about to release the first book in my Sacred Trust series, a follow-on series to Embers. She never thought she'd be raising her daughters alone. But when Deputy Fire Marshal Cassandra's husband died unexpectedly, she was forced to find a career. Now, working beside a retired Special Operations soldier and veteran fireman, she serves her North Carolina town, protecting them from hazards they don't understand. But things must change. First, a paramedic starts to work at one of her firehouses, irritating her with the most ridiculous names. Then the evidence in a series of unexplained fires points in a direction she doesn't like. Can she continue to do her job with integrity and passion when she doesn't like where it leads her?